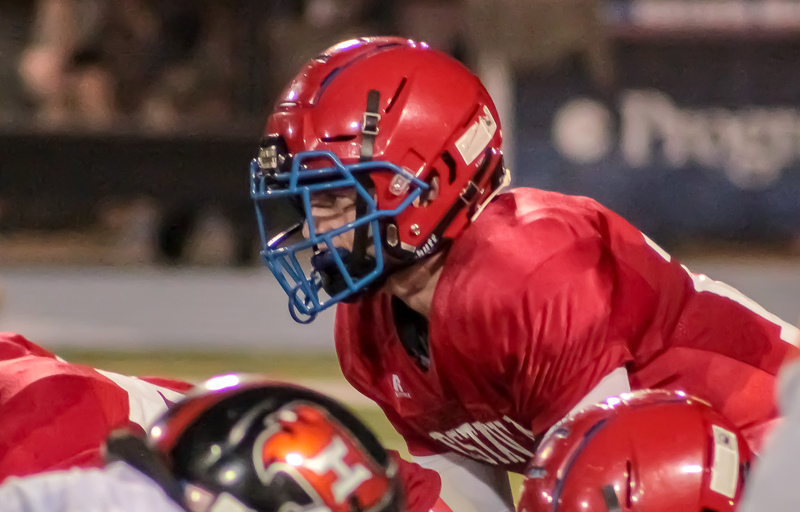 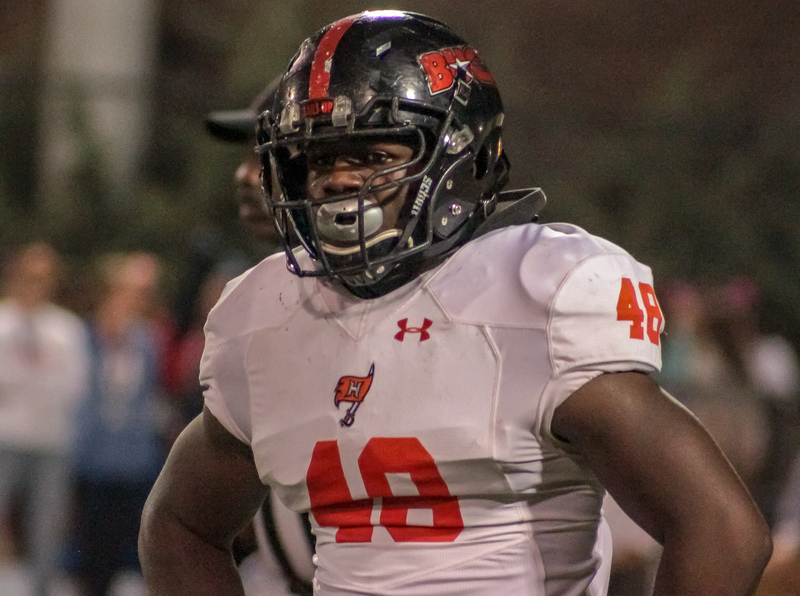 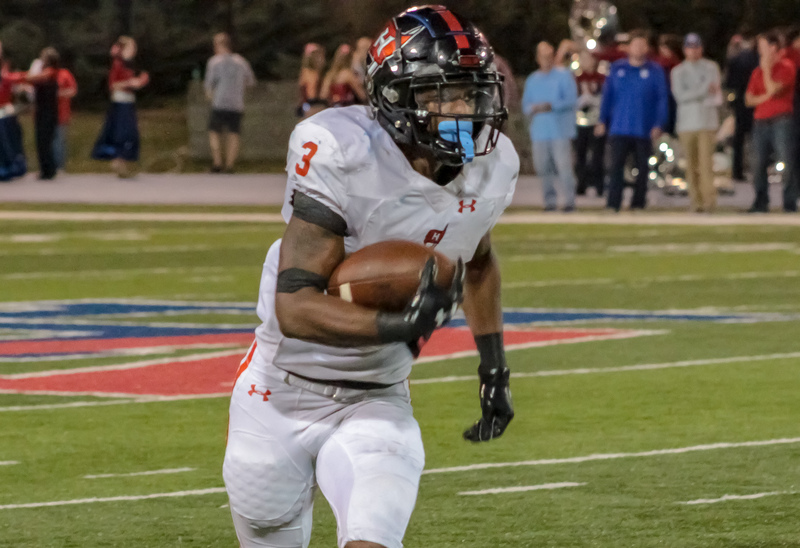 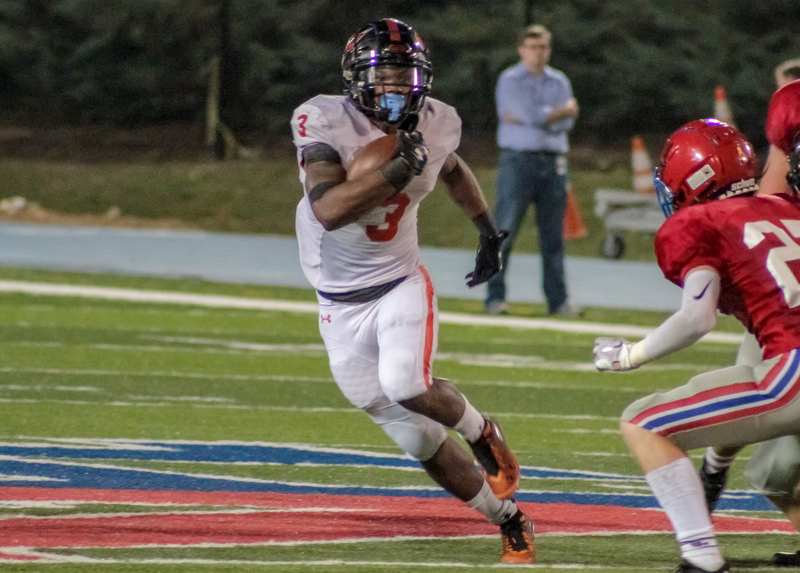 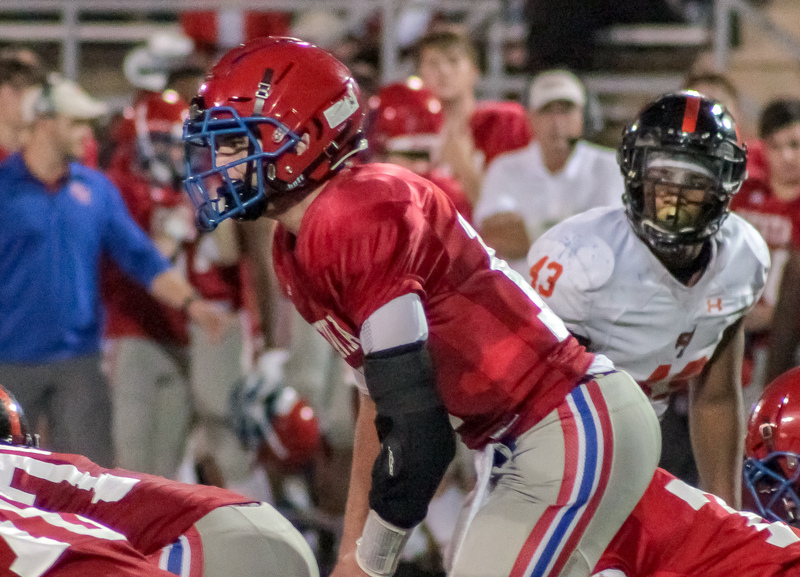 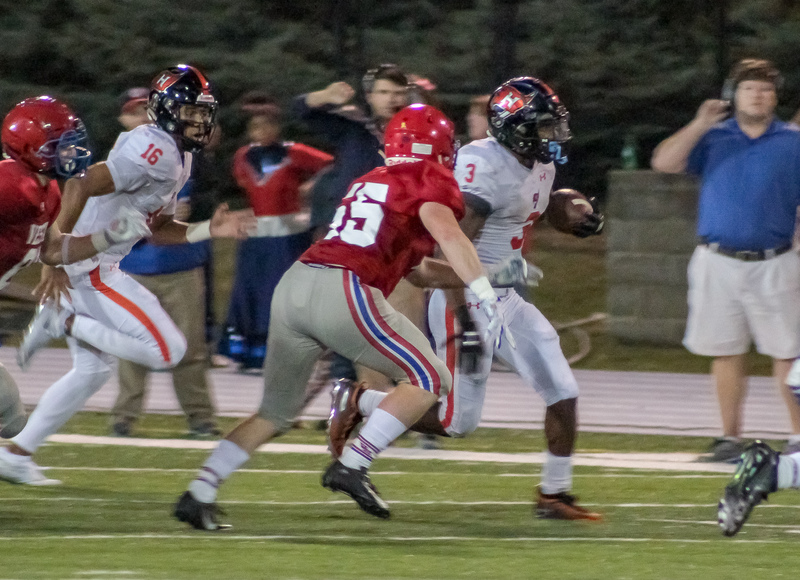 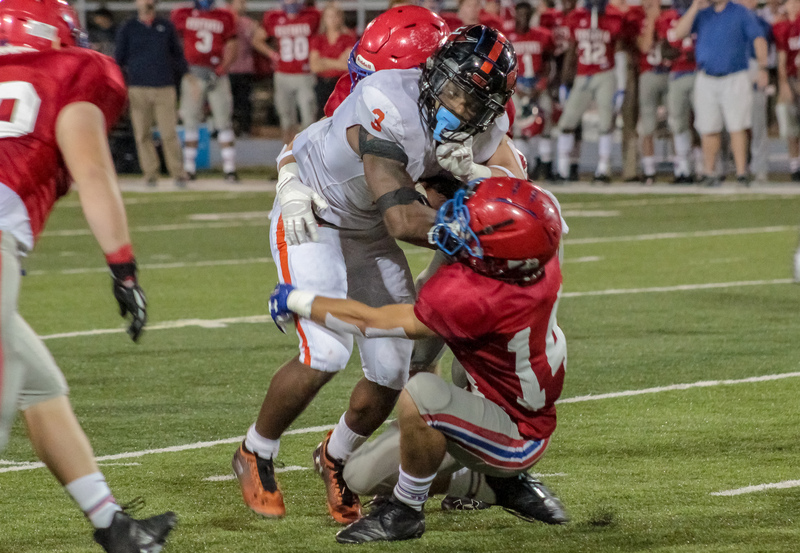 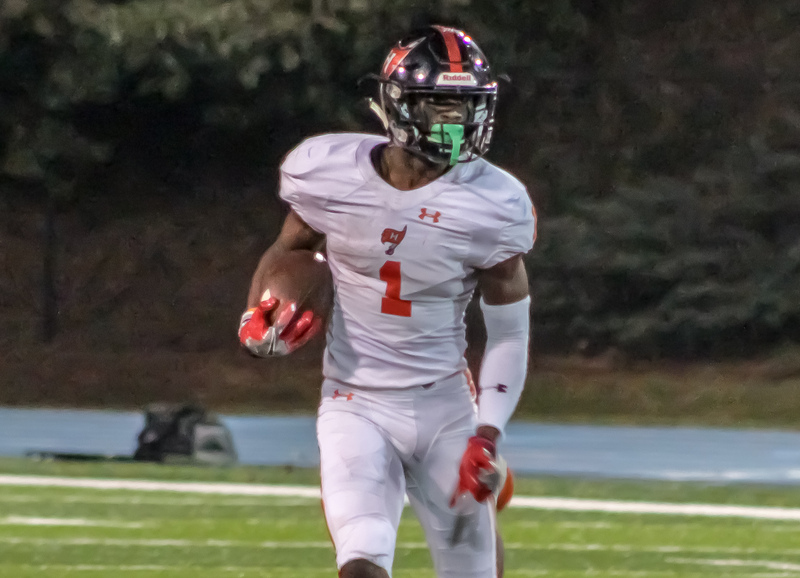 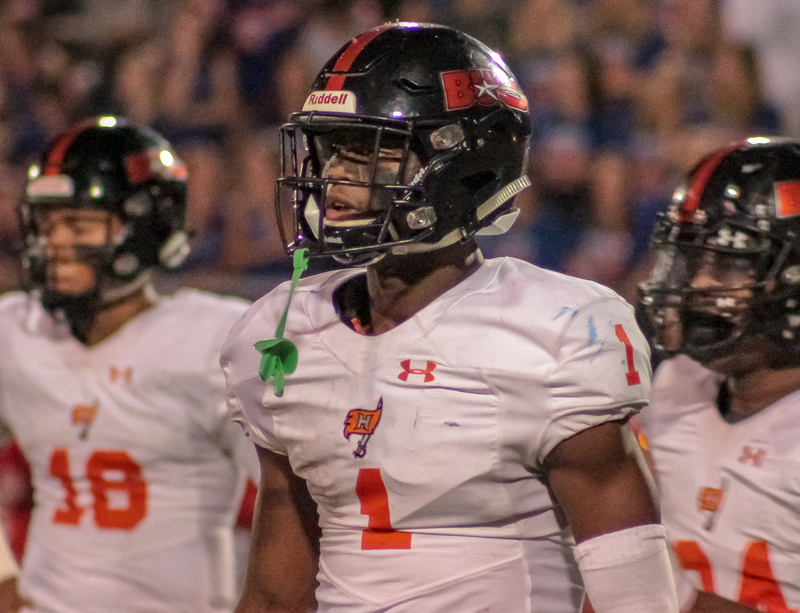 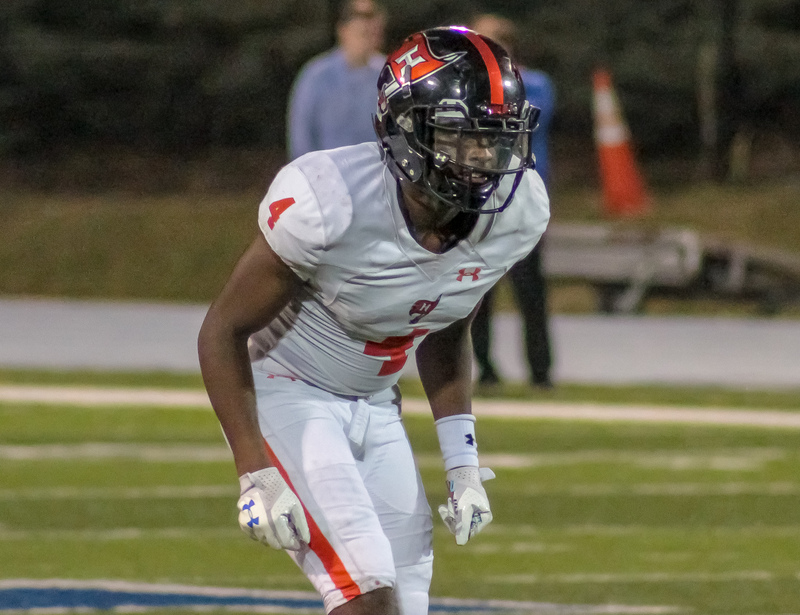 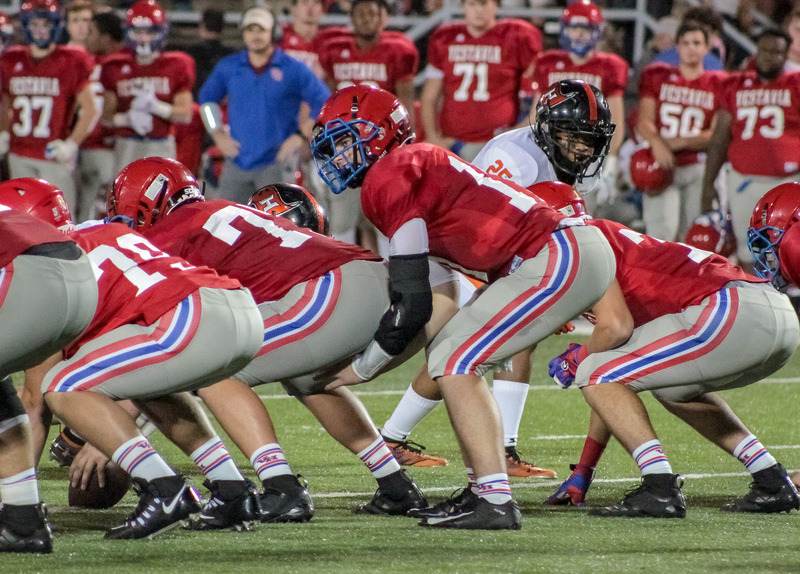 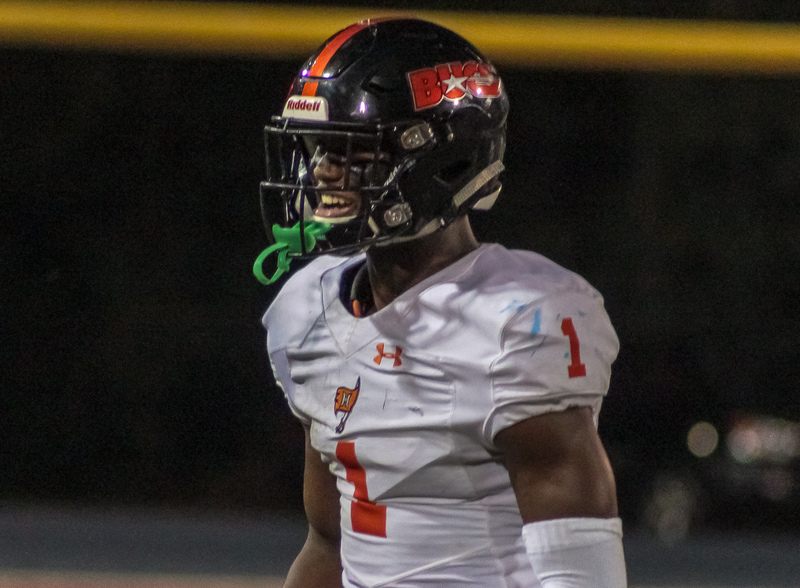 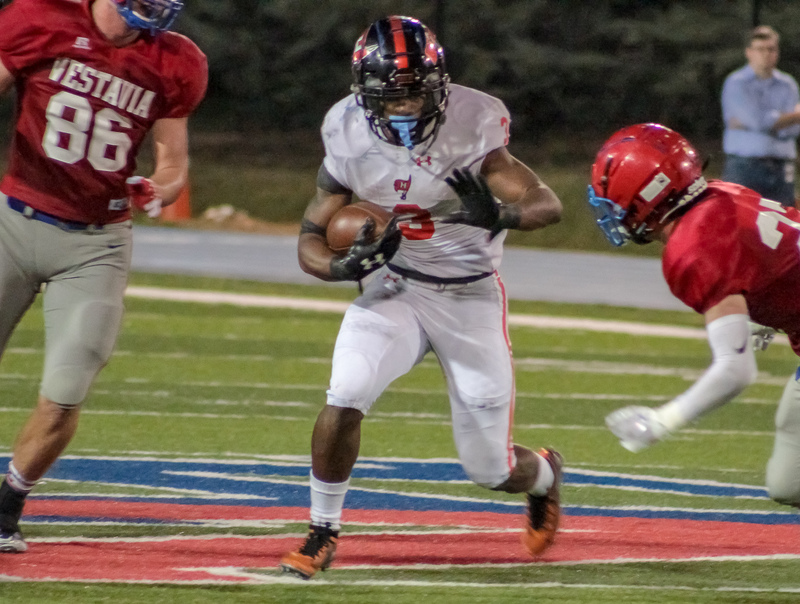 Vestavia Hills, AL – The Hoover Bucs (6-2, 5-1) secured their 18th consecutive playoff birth with their 31-14 victory over arch rival Vestavia Hills (4-4, 2-4) Friday night at Thompson Reynolds Stadium. 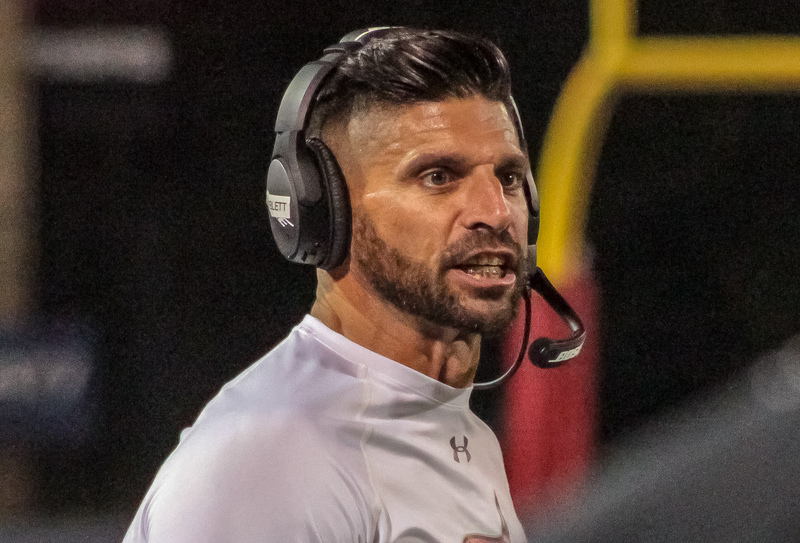 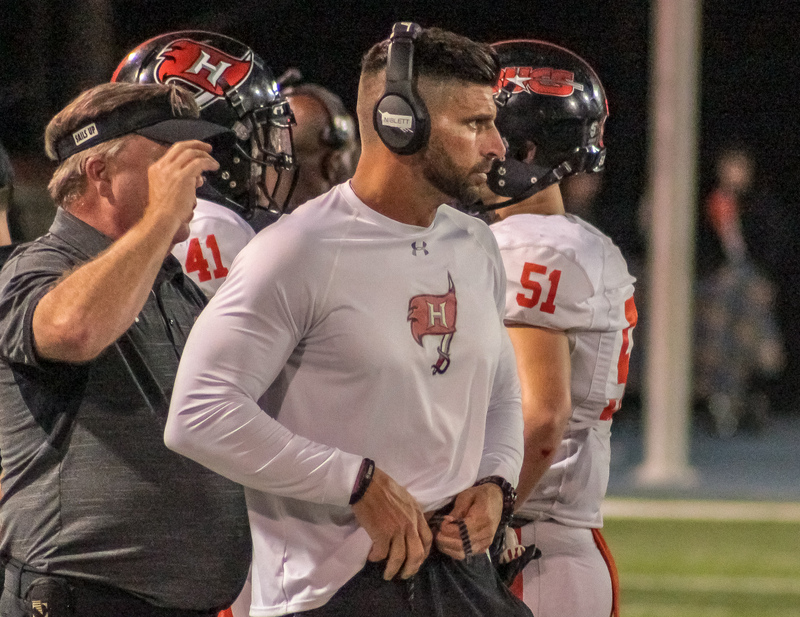 The win gave Hoover head coach Josh Niblett his 200th career victory. 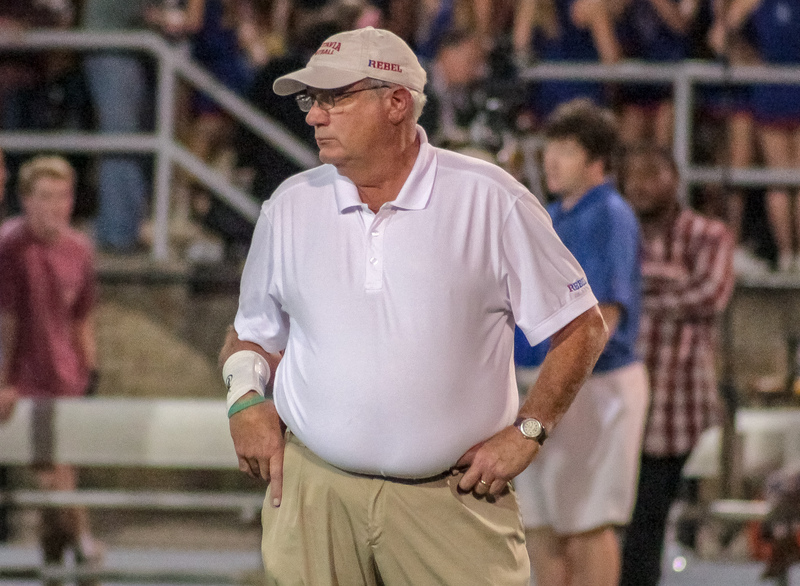 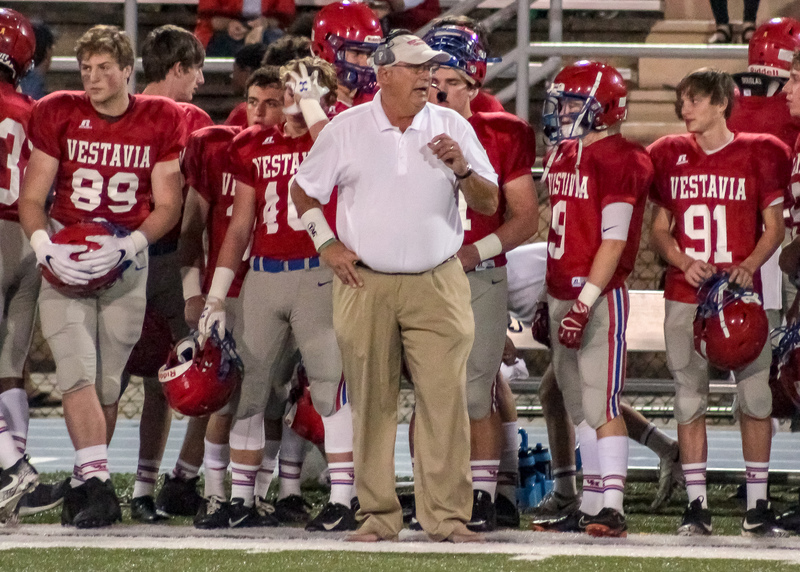 Niblett, 200-50 over 19 years as a head coach, currently ranks 15th in wins among the state’s active head coaches. 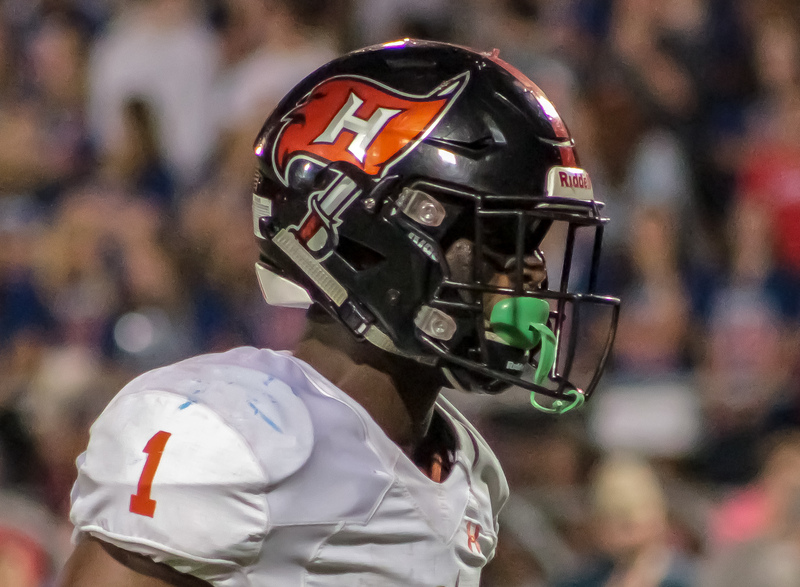 Hoover’s George Pickens snagged a Robbie Ashford pass from just inside the Rebel 10 yardline early in the opening quarter to put the Bucs fourth ranked Bucs up early 7-0. 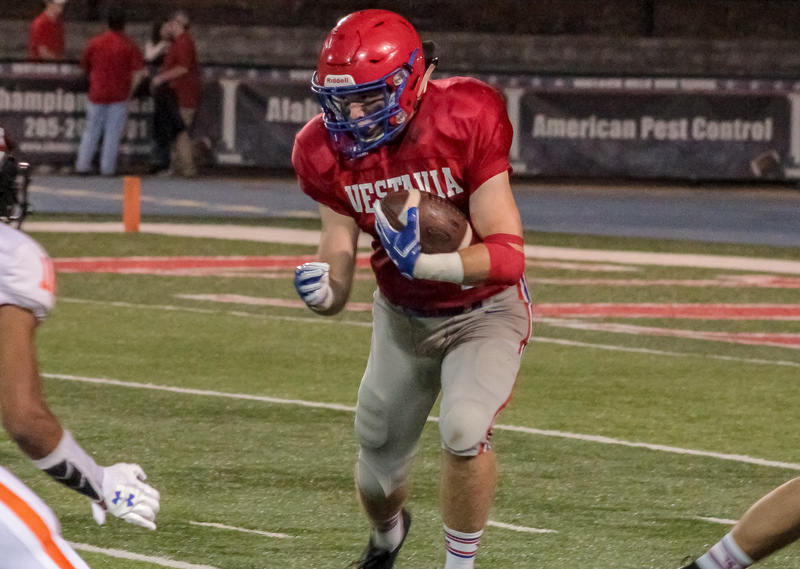 Ashford and senior running back Larry McCammon crossed the Vestavia goal line early in the second quarter to put the visitors up 21-0. 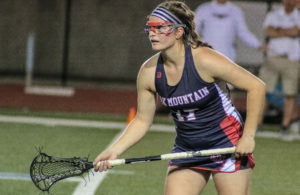 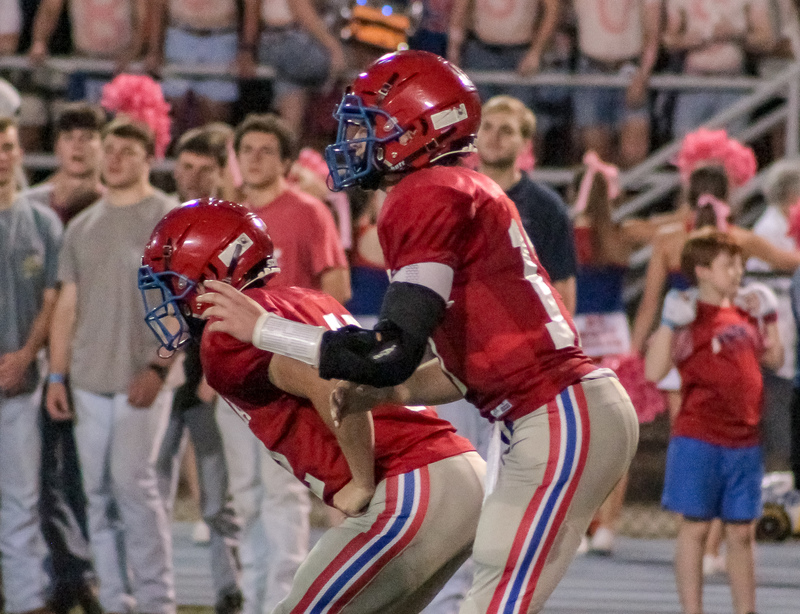 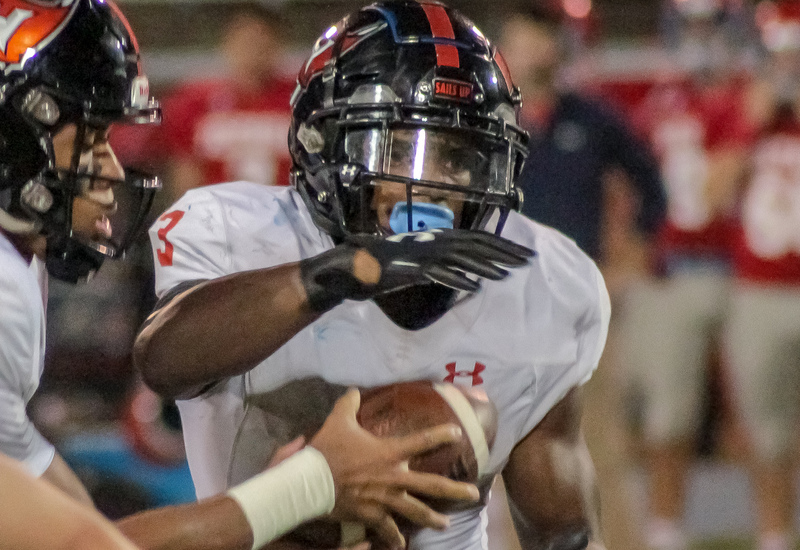 The Rebels lit up the Buddy Anderson Field scoreboard for the first time late in the first half as Eli Sawyer connected with Michael Vice from just inside the Buccaneer redzone pulling the home team within two scores heading into the locker room. 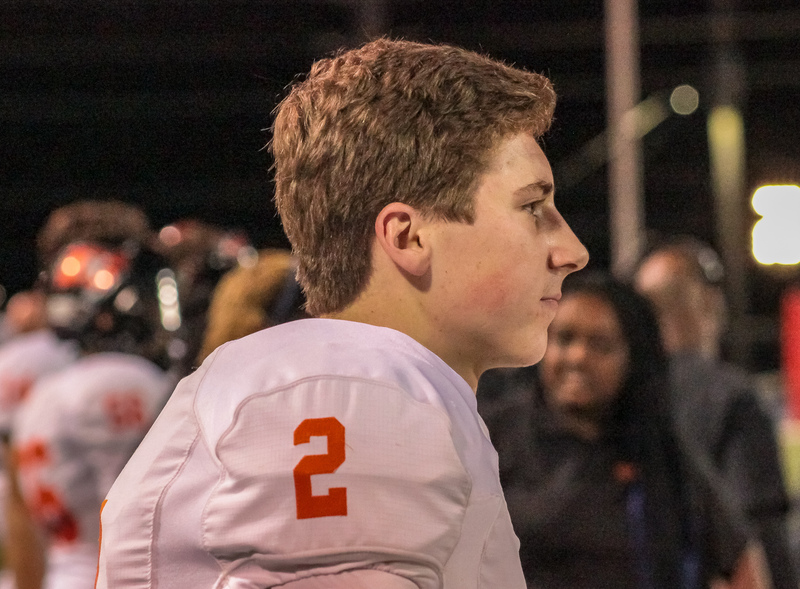 After the break, Alabama commit Will Reichard nailed a 21 yard fielgoal to extend the Hoover lead to 24-7. 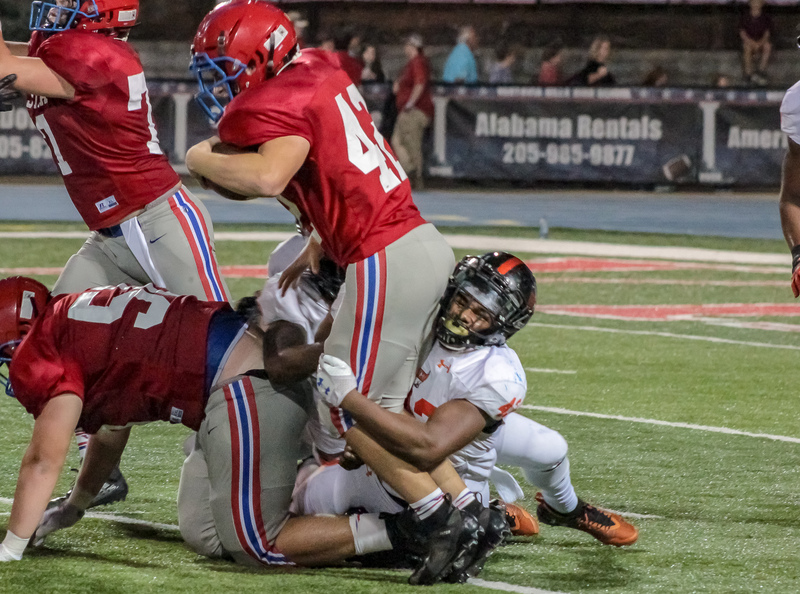 The Rebels pulled back within a pair of scores early in the fourth on a Cooper Bishop 22 yard touchdown until Ashford dashed hopes of a Rebel comeback on the Bucs next possession, bolting into the endzone from 80 yards out. 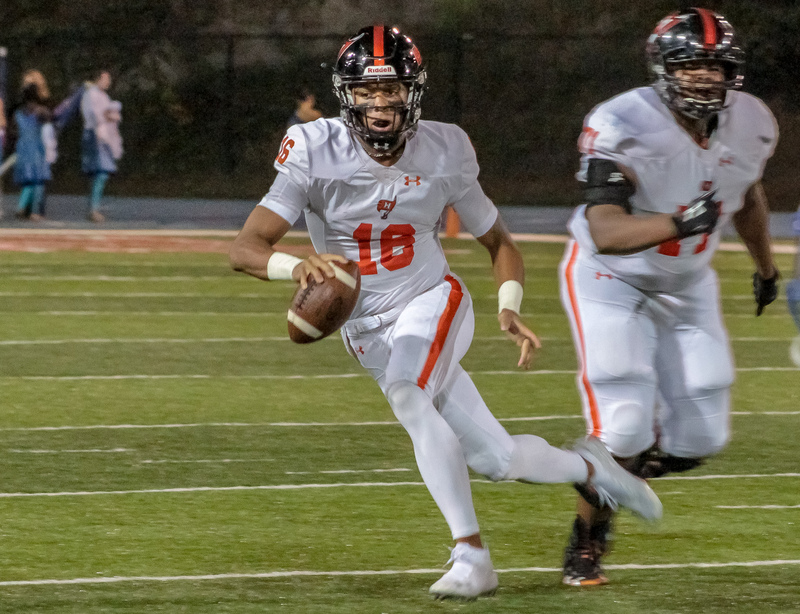 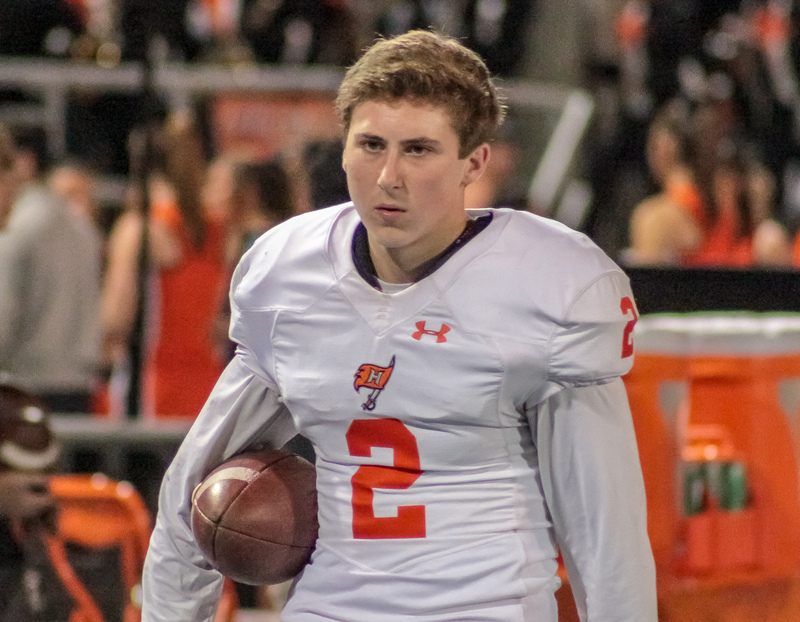 Hoover signal caller Robbie Ashford completed 12 of 21 passes for 163 yards and a touchdown through the air, he added another 130 yards and a pair of scores on the ground. 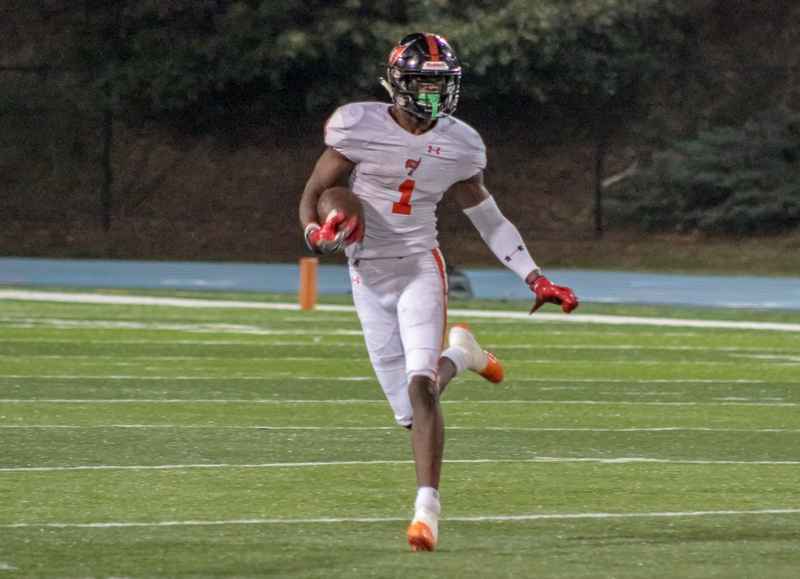 Auburn commit George Pickens hauled in eight receptions for for 83 yards and a score. 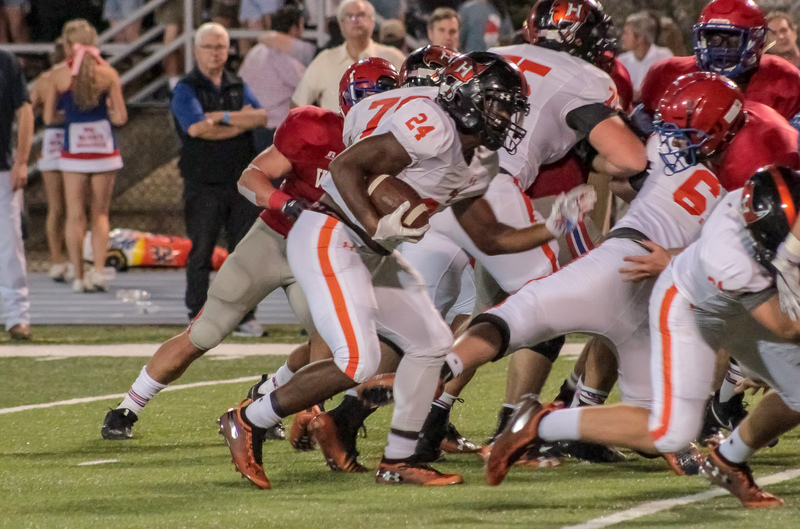 Running back Larry McCammon ran for 112 yards on 11 carries and second quarter touchdown run. 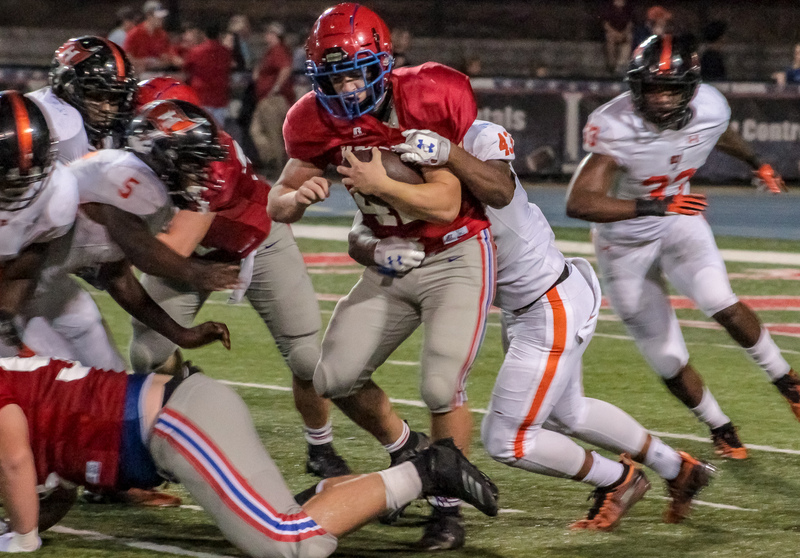 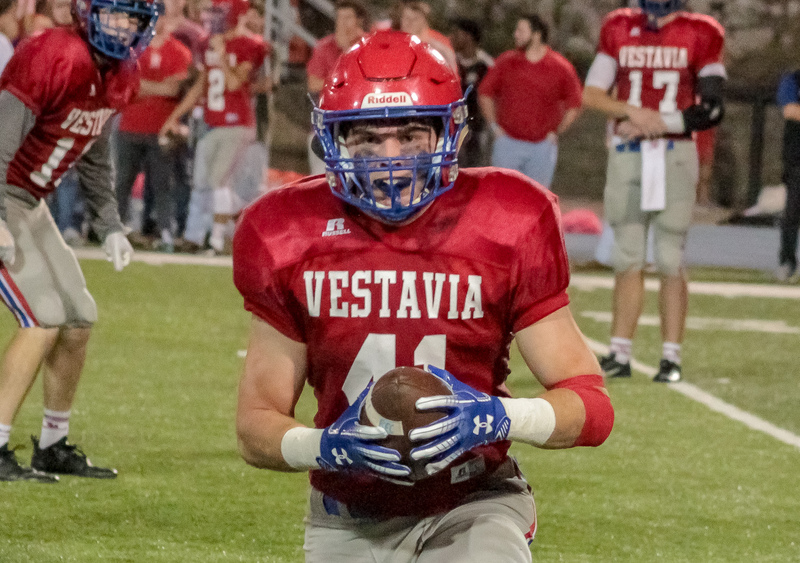 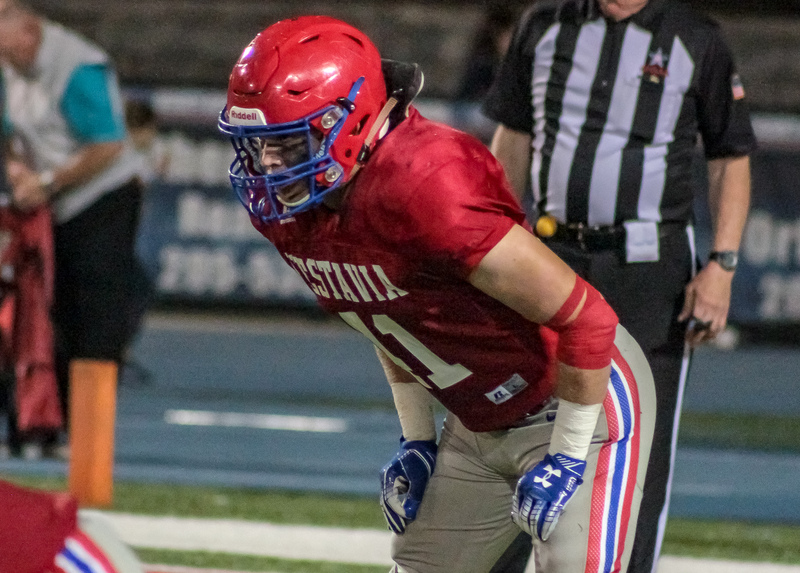 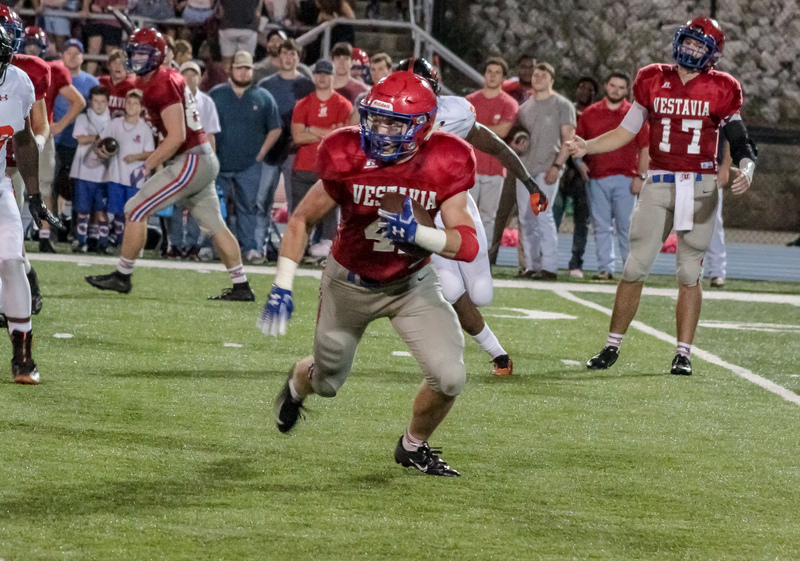 Vestavia running back Cooper Bishop lead the Rebels on the ground with 145 yards and a score on 26 carries. 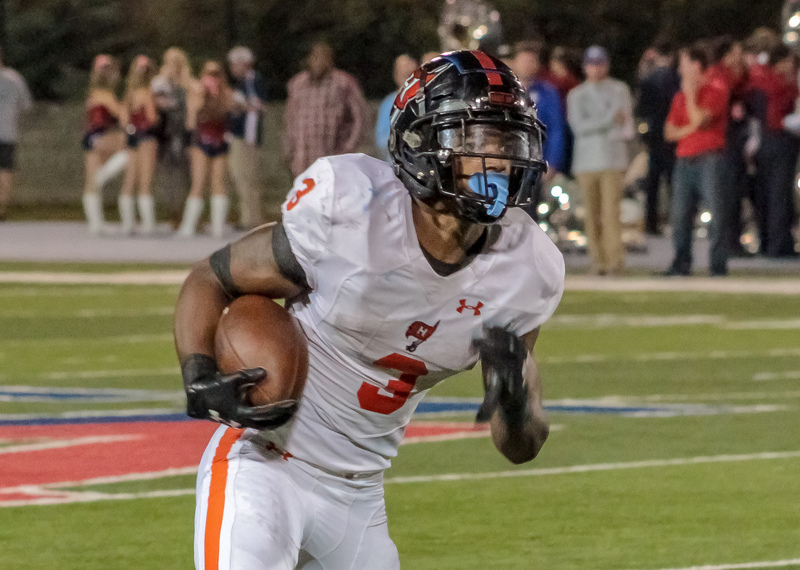 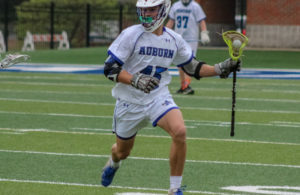 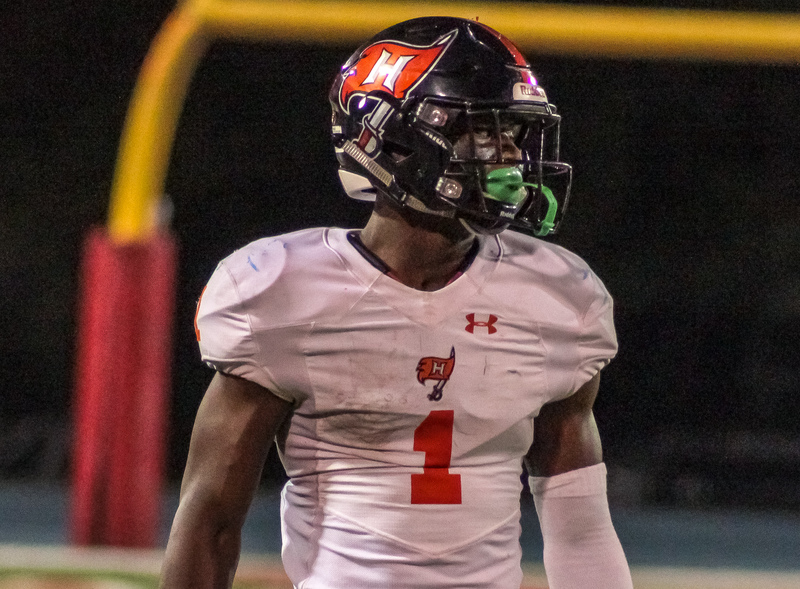 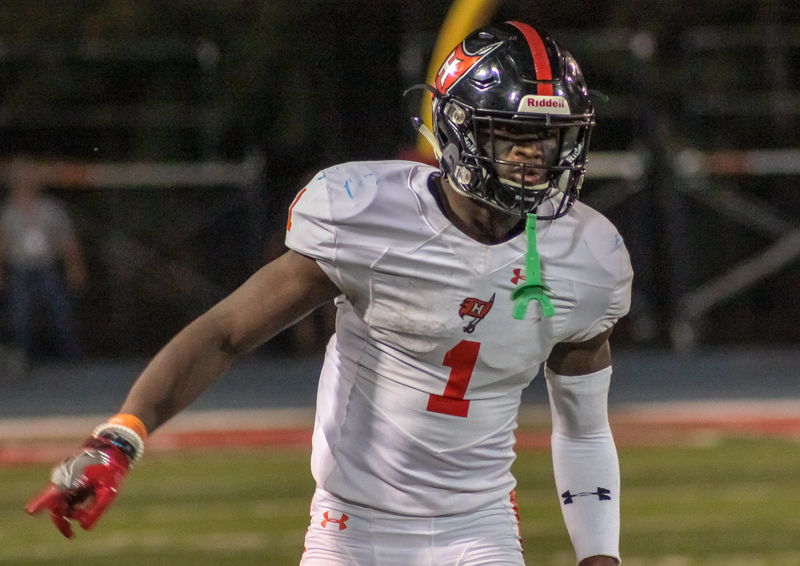 Hoover currently sits in a four way tie in the 7A region 3 race with Hewitt-Trussville (7-2, 5-1), Mountain Brook (7-1, 5-1), and Thompson (7-1, 5-1). 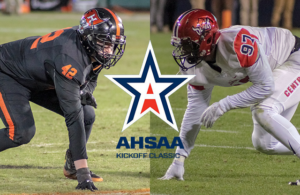 Hoover returns home to the Hoover Met next week to host region rival Mountain Brook (7-1, 5-1). 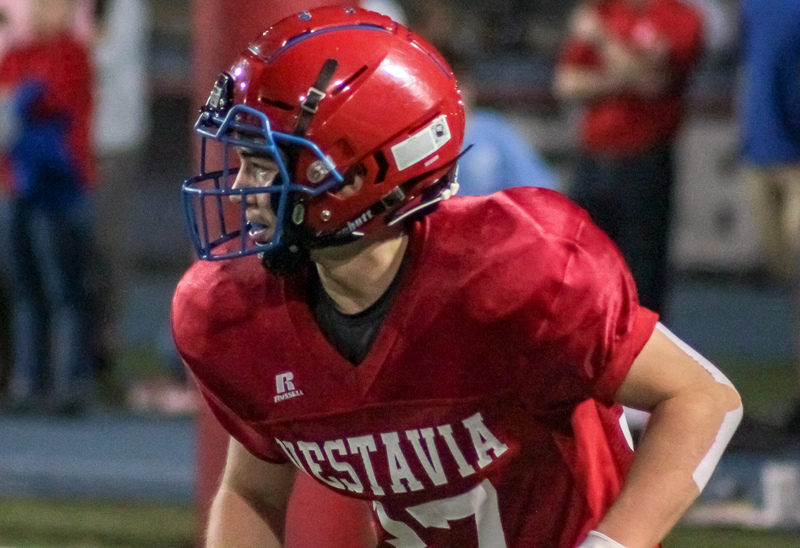 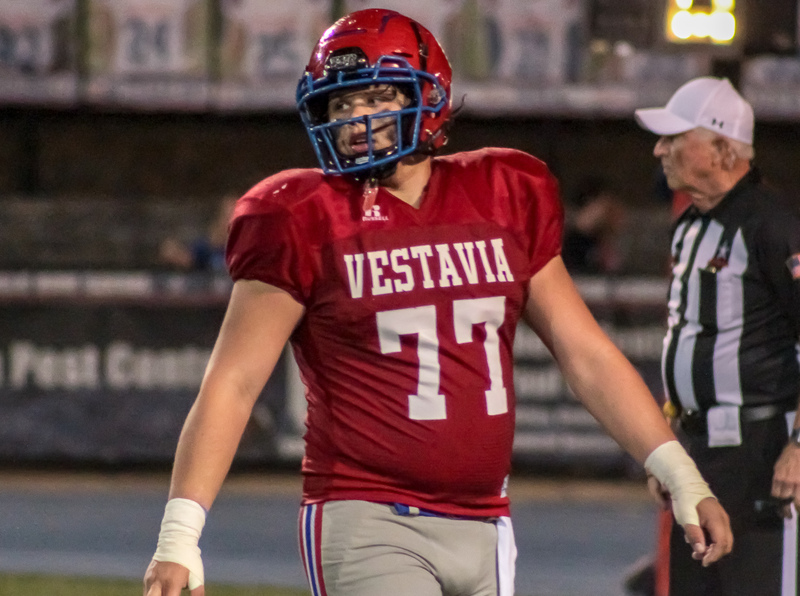 Vestavia travels to Shelby County to take on the Oak Mountain Eagles (1-7, 0-6) at Herdmont Park.